Doug Falconer was born in Calgary, but since his father was in the armed forces, he moved about the country quite a bit. Falconer was a four sport athlete in high school, excelling in Football, Basketball, Soccer and Track & Field. Falcloner played college ball with the Ottawa Gee Gees, who went through the season undefeated in 1975 to win the Vanier Cup. Falconer's pro career was a bit like his younger days as he got to see a fair amount of the country. Falconer played for three teams in his rookie season in 1976, starting the year with Toronto, moving on to Hamilton and then to Ottawa. The majority of the time was spent with the Rough Riders and it was a pretty productive rookie season with one interception and three fumble recoveries. Falconer also got to play on a Grey Cup winner with Ottawa in 1976. In 1977, Falconer went back to his birth city to play two years with the Stampeders. Falconer had two fumble recovieris in his first season with the Stamps in 1977, and had another pass interception in 1978, running it back 35 yards for the first and only TD of his career. 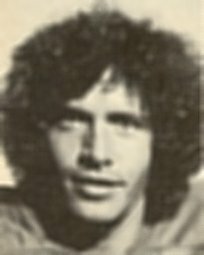 Falconer played one more year in 1979, playing two games with both Saskatchewan and Montreal.